Today I'm continuing to share posts that were popular with my fabulous group of readers in 2013, while I'm away on business in Arizona for the week. Enjoy and please feel free to comment - I love hearing your thoughts! 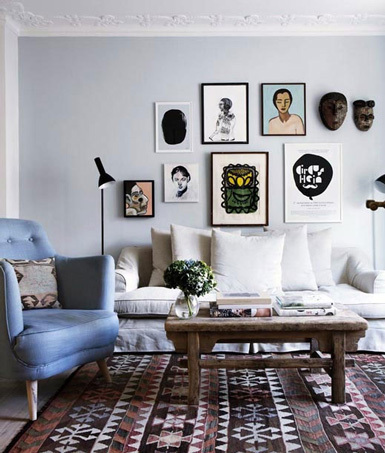 [Repost] When it comes to area rugs, do you prefer a bold print on the floor or something a more subtle? I tend to gravitate toward rugs with large patterns for the floor...I think because they often "anchor" a space and make such a statement. Don't get me wrong, solid and textured rugs definitely have their place and can look beautiful in the right interior, but there's just something about a graphic rug that really does it for me! 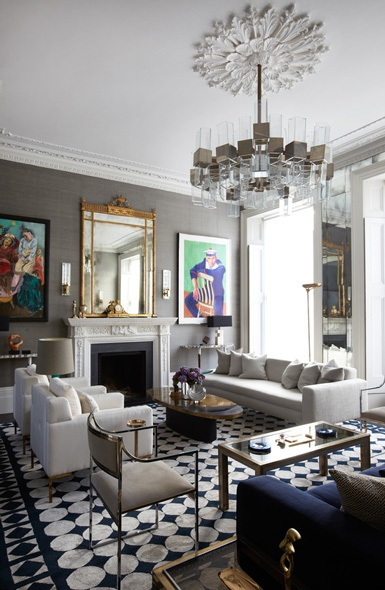 Here are a few fantastic examples of interiors centered around a bold rug. 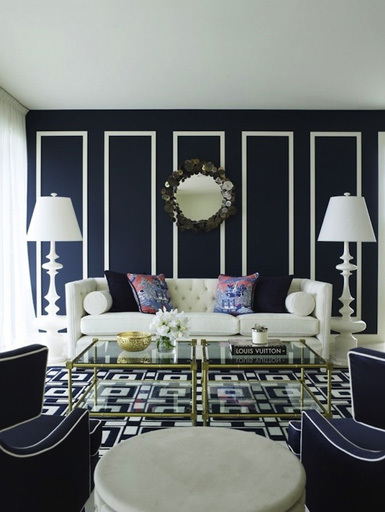 The key is to balance all that pattern with the right upholstery, pillows and accents. I have a large gray and white chevron rug in my living room and I love it! What are your thoughts on this? 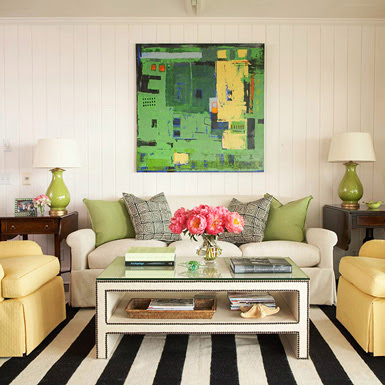 Do you have a graphic patterned rug in your home?